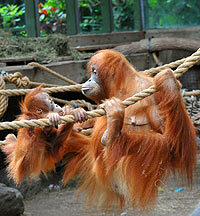 Toronto Zoo | Membership | Become a Member! Membership - Become a Member! The best way to throw yourself into the Zoo experience is to join our family. As Zoo members, you and your own family will enjoy year round access to more than 5,000 animals and 237 hectares of adventure. Not to mention the thrill of helping us protect wildlife. How easy is that? Order on-line your NEW or RENEWAL membership and begin your many wild zoo experiences immediately! 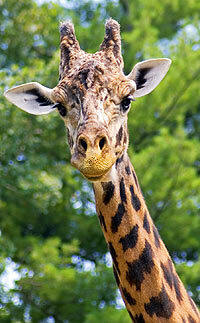 Stop into our office upon your arrival at the Zoo to pick up your new membership cards. Enjoy the Zoo and all the many benefits your membership has to offer! If you are considering giving the gift of Toronto Zoo membership please contact Member Services at (416) 392-9101. By phone: please call 416-392-9101 and speak to one of our staff who will be happy to assist you. By fax: print and complete an application form and fax to Membership Unit at 416-393-6339. Unlimited free admission to the Zoo for duration of membership (Every day but December 25th). Program and Zoo Camp discount. 10% discount on purchases in our Giftshops. 10% discount on purchases in Restaurants (excluding remote carts). Invitations to special events and exhibit previews. Personalized Toronto Zoo Membership card(s). Admission discount to AZA accredited zoos and aquariums in North America (full list).